Anton was first introduced to woodwork at Preshil school in Melbourne; he found this the most interesting subject at school and spent more time doing woodwork than perhaps he should have! This sparked his interest in furniture making: "My interest in furniture design was a natural progression from making small objects out of wood at school. I enjoy not only the design process but also the actual crafting of an object." He went on to complete a course at the Melbourne School of Woodcraft in 1989 and then worked for several furniture makers. He spent many hours reading books and magazines on woodwork and design, and learnt by making mistakes as he went along. As he learnt and began to find his own style, he also began working for himself: "Starting my own business was not planned. It happened because there was simply nowhere in Melbourne doing the sort of work that interested me. At first, I completed basic commissions for family and friends; however, a clientele gradually developed who appreciated my work. I exhibited extensively to show what I could do, and as the business increased, I built up my collection of tools and machinery, which enabled me to become more efficient and complete a wider range of designs and projects. 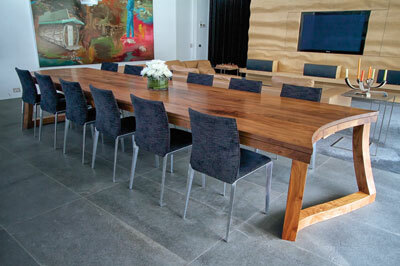 Eventually, after working as a sole trader for many years, I incorporated and, as Anton Gerner Furniture Pty Ltd, I employ a small team of skilled craftspeople." His small but highly efficient workshop/showroom is housed in a former dairy in Melbourne, which still has the original tiled floor and walls. Many of his ideas take a long period of time to develop, and he maintains a large database of designs that he plans to complete. He often sketches his ideas on paper as the first step in a design, as he explains: "Some designs develop easily on paper, while others need full-size prototypes before being made. I have a photographic memory for my ideas and designs and draw on them as needed." Anton's approach to a design depends on whether the piece is a commission from a client or for an exhibition: "If I am making a piece for a client, then I spend considerable time gaining an exact understanding of their requirements. This, along with a general direction we discuss, informs the design." This type of work involves certain constraints that he has to work around. "Clients often have a particular style in mind, a certain type of wood, and at an unrealistic price.It is my job to work within these constraints and come up with a design that suits their requirements. Sometimes this is very easy, but other times it is not always possible and a compromise must be reached." With years of experience, he now works through these constraints to design a piece that both the client and he are happy with. The starting point is different for non-commissioned work, as Anton tells us: "If I am making a piece for an exhibition or for my showroom, where I am the client, I normally start with an idea that I have been thinking about for some time. This can be based on a theme I have been working on, just an idea or even a special piece of timber I might have. I often design more complex pieces for exhibition, when time and cost is not such a consideration," he explains. Whatever the piece, the quality of the work is the most important thing in Anton's eyes. "I am obsessed with quality. No piece leaves the workshop until I am happy with it, even if that means running late. I monitor daily the work completed by my assistants and constantly discuss the quality we produce. 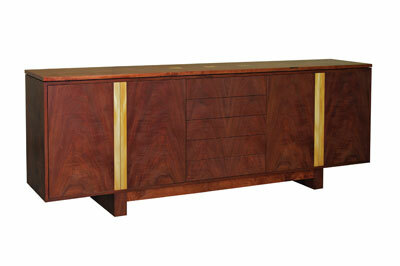 It is the quality of our furniture that sets us apart." 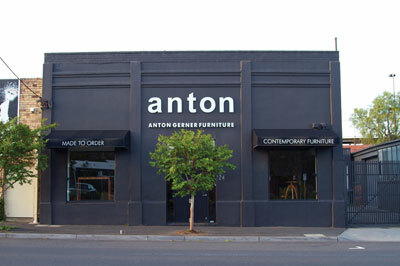 In terms of techniques, Anton describes himself as a bit of a maverick: "I don't play by the rules when it comes to making furniture. I use whatever technique I like that I believe achieves the best result in terms of quality. 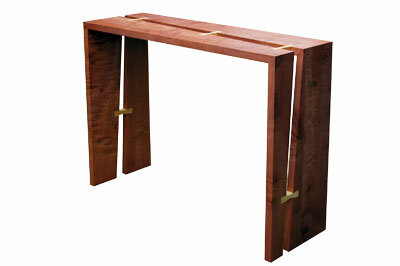 I use a lot of traditional joinery, often in a contemporary way, but also many modern construction methods. I'm a results based craftsman, rather than a traditionalist. 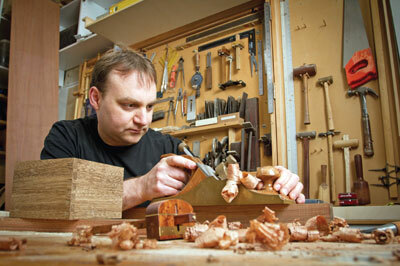 I strive to produce the best work I can, using both machines and hand tools," he tells us. 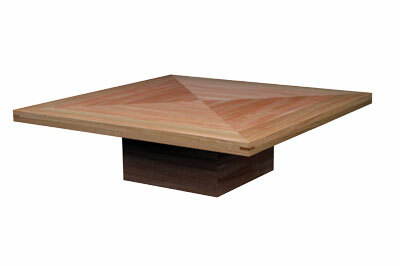 Anton uses a huge range of timbers from around the world, both solid and veneer. "The choice of which timber to use for a project depends on a number of factors, such as the client's budget or availability in the required size and desired colour or grain. I like to combine different timbers in contrasting colour and grain, and I have a personal preference for darker timbers, such as walnut (Juglans spp. ), blackwood (Acacia melanoxylon) and ebony (Diospyros spp.). 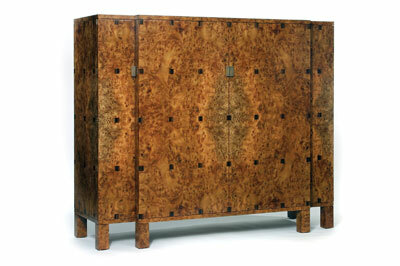 Although he doesn't own many of his pieces, Anton has kept a chest of drawers that he made several years ago. "This '9 Drawer Chest' is special to me, because I used three-way mitre joints in the corners and it was the first time I perfected them." Anton finds inspiration from designs in everyday life. "I notice architectural details and any beautifully crafted product, from cars to dinner plates - if they are made well and look good, they interest me. I am not inspired by any one particular designer; however, I am very fond of all things Art Deco and I call a number of my designs 'Contemporary Art Deco'." He also reads design magazines from Europe and the US to keep aware of the latest trends. Over the years he has exhibited extensively and has also won a number of awards, including Best Production Piece in the 2010 Maximise competition, Best Cabinet Work at the Victorian Woodworkers Association Annual Exhibition on several occasions and the Natural Feature in Furniture Award, one of the most prestigious awards for furniture design in Australia. He exhibits less now that his business is established, but he is currently working on a solo exhibition. Due to the varied nature of his work, Anton told us it is hard to predict what sort of pieces he will make in the future: "I work on such a large range of projects that it's hard to tell. I can be working on a large 18-seat dining table one week and then a really small bedside table the next. I am, however, trying to specialise in cabinets and chests of drawers." We look forward to seeing the results! I find I am inspired by many different designers and makers, rather than a single person. I have always taken interest in the work of others, not only in furniture, but also other crafts and architecture. 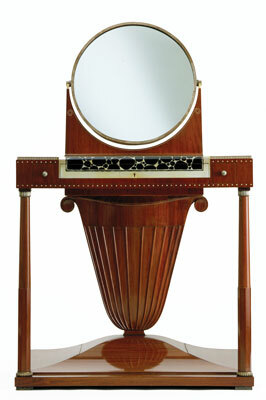 I am particularly inspired by the Art Deco period, especially the work of Ruhlmann and the lacquer genius Jean Dunand. 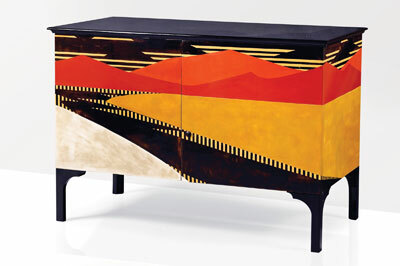 Their pieces form some of the basis for my contemporary deco designs, along with inspiration from Art Deco architecture. 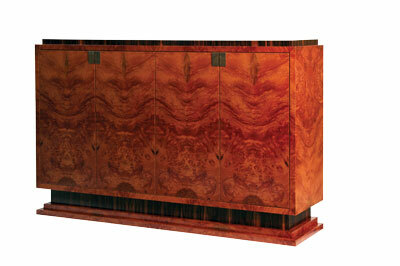 I also greatly admire the work of a number of furniture makers around the world. 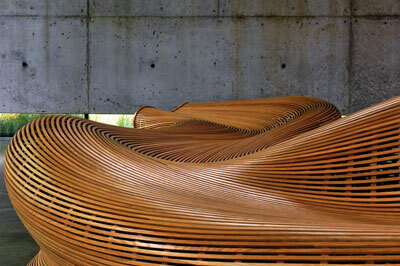 The late Sam Maloof, who was the master in sculptural chairs, which are just perfect in both form and craftsmanship. 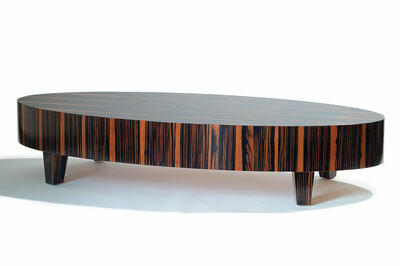 Australian designer Khai Liew who creates contemporary pieces that draw on inspiration from Asian furniture. Currently I am closely following the work of Matthias Pliessnig, who is based in Brooklyn and makes amazing steam-bent sculptural benches. 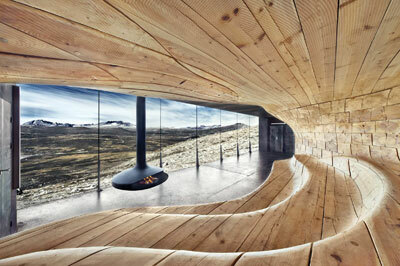 In contemporary architecture I love the work of SnÃ¸hetta. Their Opera House in Oslo, Norway, is outstanding. ARM Architecture and Lyons Architecture in Australia continue to inspire me with their unique buildings. Recently I have found Instagram to be the greatest source for my inspiration. There are just so many people on there who are producing really great work. From furniture to ceramics, glass, leatherwork and architecture, it's all there. So good to be able to see such a wide range of inspirational work every day. It's also great to be able to communicate with so many inspirational designers and makers via Instagram.